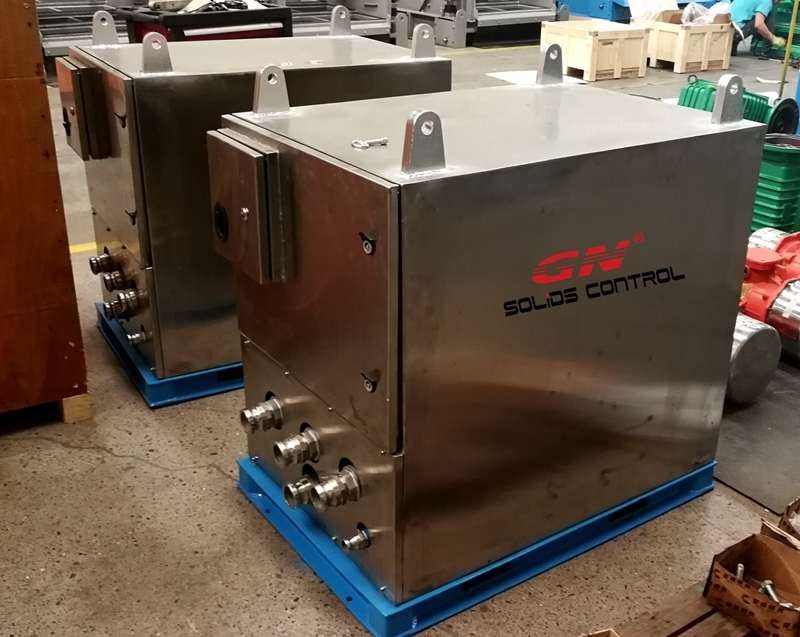 MI Swaco Screen Pulse system and GN Solids ViST Vacuum Shaker screen are both designed for enhance the performance of the shale shaker to recovery drilling fluids. Generally speaking, the function of the two system is same, the working principle and process is different. MI Swaco has it’s own patent and GN Solids ViST also has it’s own patent design. Both system can be used for oil based mud, water based mud and SBM. The MI Swaco SCREEN PULSE fluid and cuttings separator is a vacuum system to enhance shale shaker performance by creating a suction effect under the screen surface, reaping all the benefits of ultra-fine screen separation efficiency. A catch pan will be installed as a drop-in, within the shaker bed underneath the last screen on the shaker; an air valve mechanism is attached to the catch pan and creates vacuum suction force, pulling all the residual drilling fluid from the drilling cuttings surface as they travel towards the discharge end of the shaker. ViST is Vacuum Screen Technology is to work with shale shaker to reduce drilling waste and recycle drilling fluids. ViST was pending patent design developed by GN Solids Control from June, 2017. In May, 2018, GN tested ViST with drilling fluids. It proved to be very efficient for recycling drilling fluids. The ViST Pan is installed under the last screen or mounted externally. And a suction hose is connected to ViST vacuum unit. The compressed air from air compressor or the rig air supply is required to create suction on the last screen surface, pulling additional fluid off the cuttings. It can reduce the liquid on the cuttings by 30-50%. Main difference between MI Swaco Screen Pulse and GN Solids ViST Vacuum Shaker Screen . Firstly, the Mi Swaco Screen Pulse System utilize a special valve mechanism to create vacuum for the catch pan. But GN ViST vacuum shaker screen use a vacuum pump unit to create vacuum for the catch pan. Secondly, the Mi Swaco screen pulse system collect the drilling fluids and discharged directly to the mud tank by the valve mechanism. But GN ViST vacuum shaker screen collect the drilling fluids and sent to a vacuum unit, and pushed out by the compressed air.